Though it sits within a troubled neighbourhood, Jordan is an accessible, safe place to taste and try your hand at making Middle Eastern cuisine. ‘The way to the heart is through the stomach’ is just as much an Arabian saying as a Western one, according to Sherin of Beit Sitti cooking school in Amman – a matriarchal family business that employs local women to give them an independent income. Flip pittas and char aubergines with these ladies and you’ll get a special insight into how entrenched food culture is in local Jordanian life. 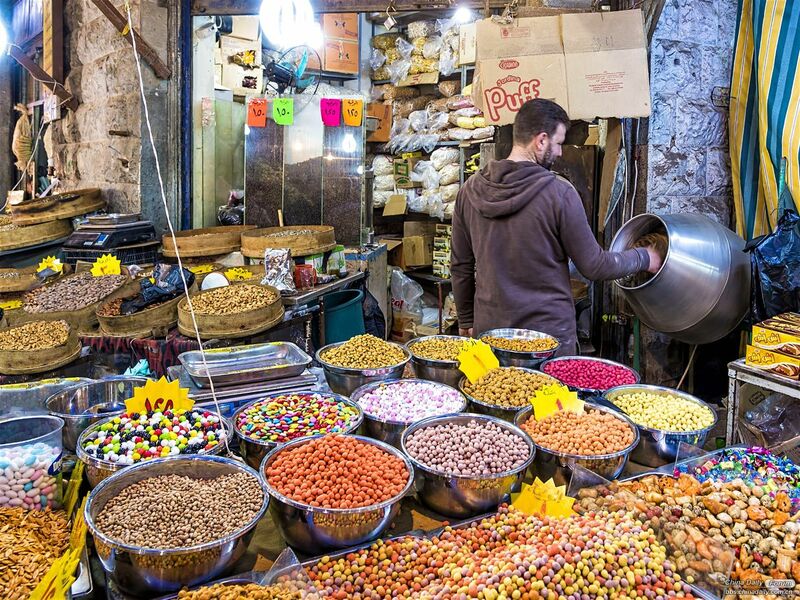 Visit the capital’s hole-in-the-wall sweet shops (a legacy of Ottoman rule); harvest tomatoes with a Ghor al Mazra’a community near the Dead Sea to make the traditional dish galayet bandora through the Zikra Initiative; and join Bedouin chefs at Feynan Ecolodge on the cusp of the Dana Biosphere Reserve to learn how to fry perfect falafel. Jordan is a nice place. The food in the middle east is awsome.....i was once in doha during a stop over during ramadan. Apparently you should not eat between morning and 7pm evening. On arrival the taxi driver took me to this take away shop and we both had some food. When i asked him about not eating until the evening, he told the other taxi drivers that were eating and they all started laughing. I wonder how many more ignore the food ban?